Q. 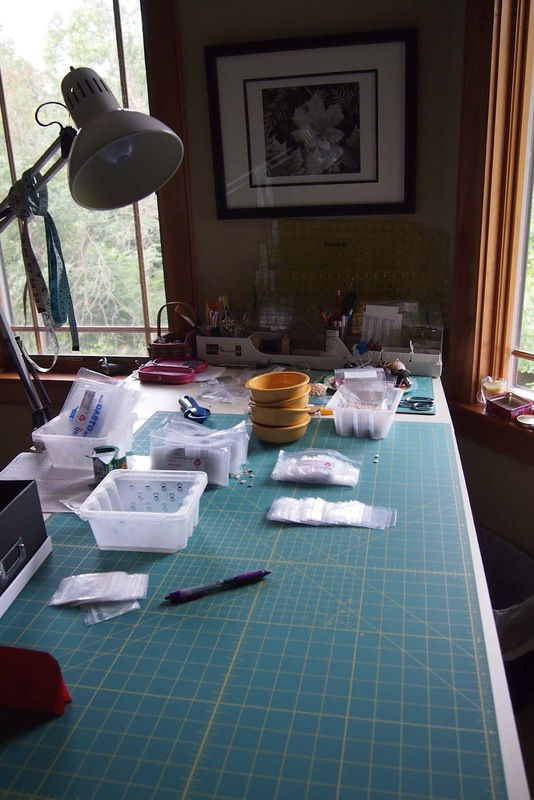 How long have you been a stitcher an how did you first learn about stitching? SamSarah Studio Wall of Floss!!! 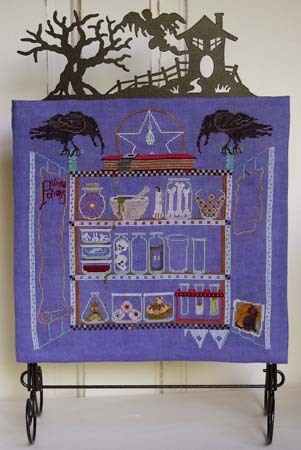 A. I started stitching around 1981 while living in Palmyra, New Jersey. One of my friends was stitching and took me to a shop somewhere in southern Jersey. The first book I purchased was (I think) by Jo Packham and my mother still has the piece hanging in her bedroom. It was all on white Aida, with DMC floss and totally backstitched. I still think it’s really cute with a bride and groom dressed in their wedding finery riding a tandem bicycle. I made it for my parent’s anniversary that year. A. The answer is both. I stitch the majority of my own pieces and this is for the simple reason that I change them as I go. Just because I think a certain color of floss will look perfect in that spot doesn’t mean it is so. This is where the art part really comes in because lots of tiny adjustments happen along the way. When I’m really pressed for time, I have a couple of friends (that I can trust to tell me if something looks bad) who will pitch in and help me. They have really saved me on more than one occasion, but I truly love to stitch my own. Q. What other designers are you a fan of? A. Love, love, love (and in no particular order) Cricket Collection, Val’s Stuff, Monster Bubbles, Twisted Threads and the lucky part is we all live close enough we can have lunch together whenever Val herds us up for a fabulous meal at her house (Thank you Val, I will try to take a turn at some point!) I also enjoy La D Da and Ink Circles although they are too far away for our lunch bunch. Q. Have you ever exhibited at or attended a TNNA trade show, and if so what are your thoughts on it? A. Yes! I’ve been exhibiting for years at both the convention center shows and the cash and carry/hotel shows. So far this year I exhibited in Nashville and Columbus with new designs in the works for Baltimore already. I am a huge fan of everyone gathering together in one spot to show our new pieces, mingle with other designers, re-new friendships with shop owners and teach or learn from new classes. 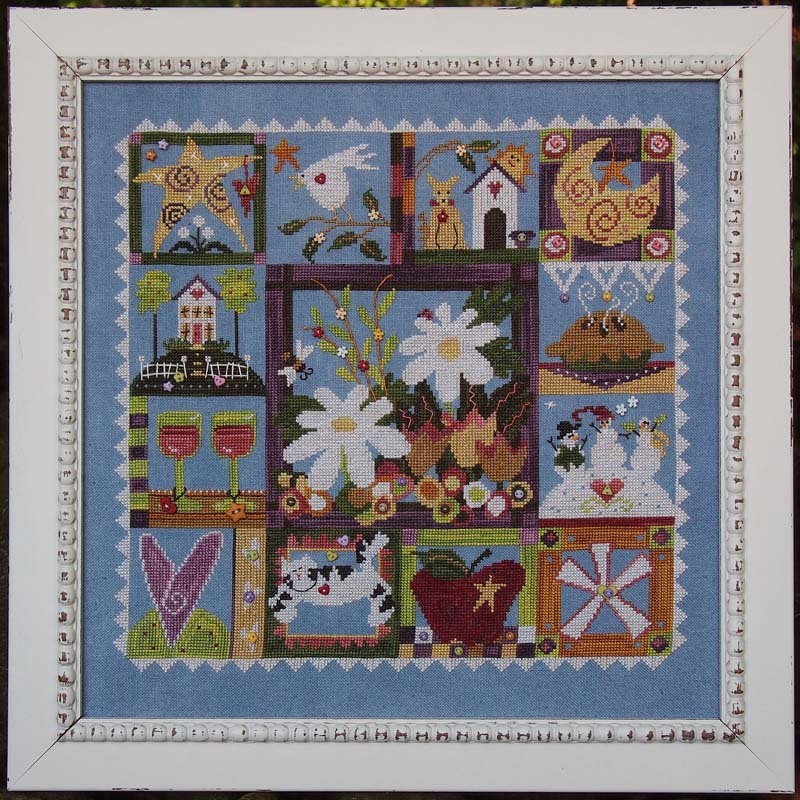 Since I’ve expanded the business with Quilt Designs, I also exhibit twice a year at International Quilt Market and sometimes the shows are so close together, I have to pick one or the other. At any market, the connections that are made are so much more valuable than how much was sold. I always come away with a new opportunity that would not have been available to me had I not attended. To me, it’s truly an investment in how well my business will do in the coming year. And this year in Columbus, I learned to knit! (Thank you Penny.) Something I can do just for me, even if my skill level is not so great just yet. A. I’m hoping that I can keep the size of the business manageable. The last two years have seen phenomenal growth at SamSarah, for which I am truly thankful, but I don’t want to have to move to a larger location and hire employees. Right now, if I wake up at 3 am, I can just go up to one of the studios and start working. My daughter Sarah packs all the accoutrement packs, which is a huge job and that helps me immeasurably. The Big Guy is my go-to man for daily bank and post office runs and even wants to drive me around when I’m sleep deprived and have errands to run. I’m not sure if he is protecting me or the other folks on the road! sits behind me, on my office chair, when I’m on the computer (which is a lot) and we keep each other warm. He’s now about 15 years old. A. Free time? Now there’s a good goal. I keep little project bags packed up for when I’m sitting in one of my mom’s many doctor’s waiting rooms (think perforated paper birds.) One of the best parts of doing that is I’m still productive while taking care of my mom, plus it has the added benefit that as soon as I get everything out and ready to go, they always call us back to sit in the exam room. And if I pull it out in the exam room, the doctor always arrives sooner. I know this to be true! I do have books on my Kindle that I can access from my phone as well. When I’m really tired, but my brain won’t be quiet, I read. Nothing too deep. Summer beach reading books are my favorites (even in the winter.) I’ll find a author I like and read everything I can find. Just finished another Harry Bosch novel this morning. And I’ve recently discovered Audible.com. Now I can stitch and “read” at the same time. Technology is grand! A. Rock and roll cranked up loud!! I also pick certain songs based on the beat if it corresponds with the speed I run. I have several 30 minute play lists on my iPod for running on the treadmill in the winter - or, like now, when it’s too hot to go out on the trails. Mick Jagger singing “Start Me Up” begins my favorite run. Has all this loud music affected my hearing? What? so they would have money to buy more art supplies. And finally, I’d hire a competent staff to manage the place and keep the peace, so I could spend my time in the studio too. A. Truly, I feel that whatever happens, good or bad, shapes who you are, how you react, and reveals your true character. Because of that, there’s not much I would change. There is one thing I know I would do differently if given a magic ticket back in time to the year 2000. My father fell and broke his leg (after recovering from a hip fracture) and landed in the hospital. My mother called on a Saturday afternoon and I asked if I should come out to Arizona where they lived. She said, “No! He’ll think he’s dying, save your money for when he really needs you.” They took him off his blood thinner so they could get him ready for surgery to repair his leg. He died alone of a stroke on Sunday night. I know I couldn’t have stopped it, but I would be there, holding his hand, when it happened. A. I started stitching when I was 8 or 9 years old. A friend of the family had a teenage daughter named Kathy, who made a small stitched ornament and gave it to my mother for Christmas. She had used a wooden ring, painted gold, to frame it. I was totally fascinated by the stitching, and I wanted to learn how it was done. Kathy taught my mother, who then taught me. I've been stitching ever since. My mother still has that ornament and I have the very first pieces we stitched, along with the first patterns my mom bought - all from the 70's. We moved away and I didn't see Kathy again. 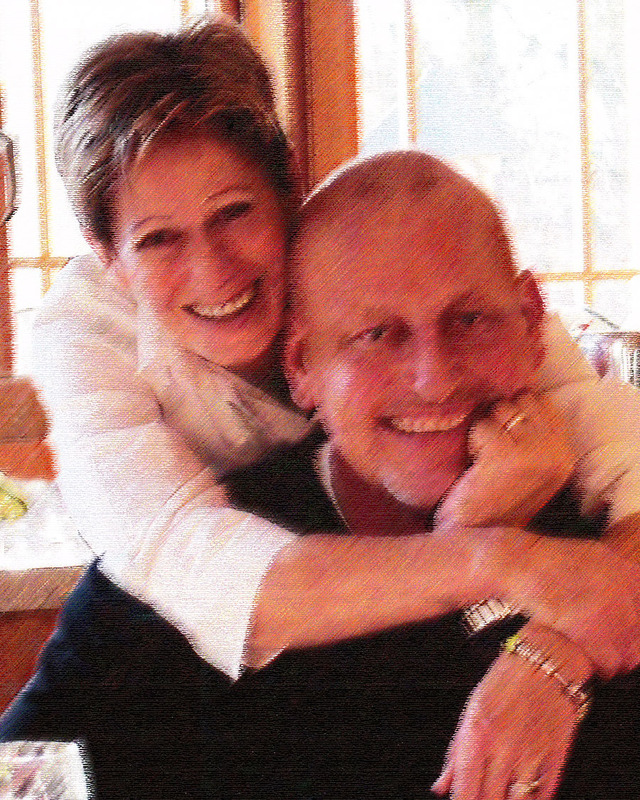 A few years ago at Christmas, I spoke to her on the phone for the first time in more than 35 years. I thanked her for teaching my mother and I how to do something that has become such a large part of my life. Ray doesn't stitch, although I know he could if he wanted to. He would rather make things with wood and metal than with threads & fabric. He can answer most stitching related questions, and is very good at color conversions and substitutions. A. 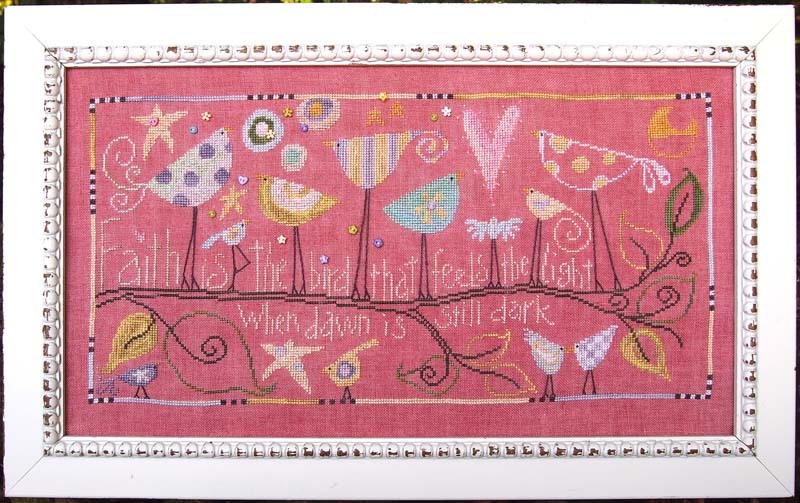 We started Down Sunshine Lane just over 9 years ago. Though it's not a business venture, we've had Cross Stitch Pals, www.crossstitchpals.com, for over 15 years. A. We maintain an extensive in-stock inventory so we can ship orders quickly. We stock patterns, kits, all types & brands of fabrics, and the complete lines of WDW, GAST & Crescent threads. 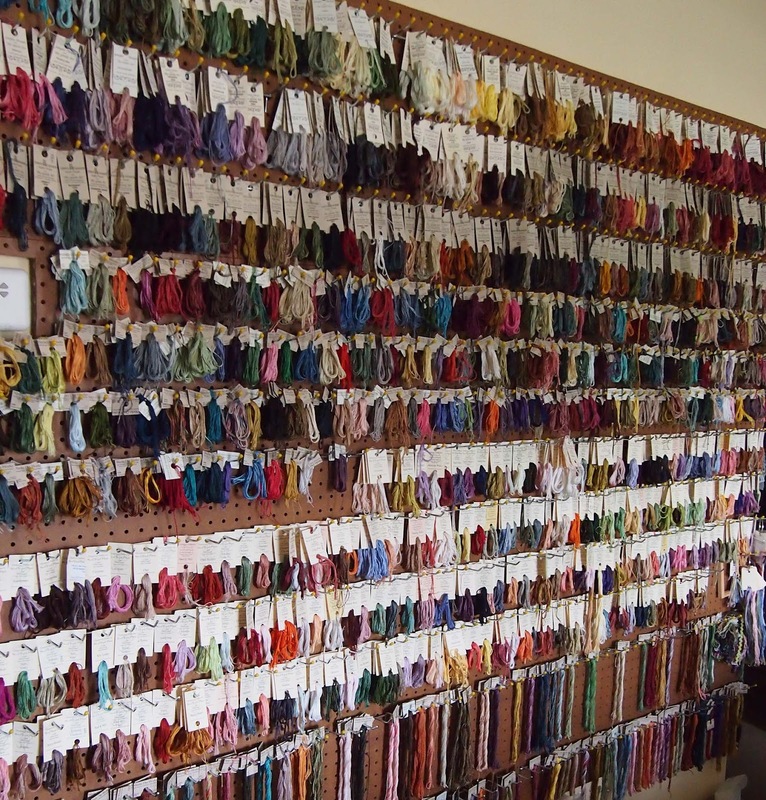 We also stock Mill Hill Beads, Kreinik threads, scissors, needles and many other types of accessories. We try to process & ship orders within 24 hours. Special orders are always welcome. Q. What are some of the biggest changes in the industry you've seen since you've been in business? A. We've gone from new releases each month to new releases every week. 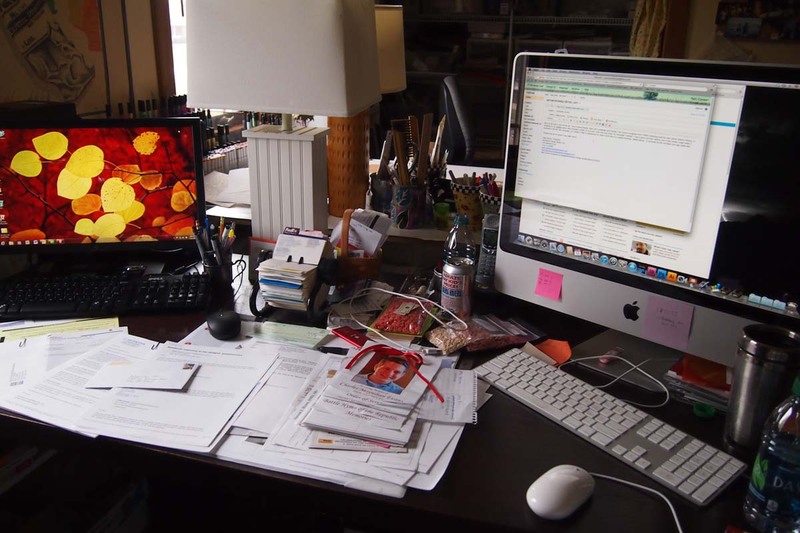 Self publishing is easier now, so there are more new designers joining the industry than ever before. That keeps things fresh and interesting. It's great for the customers, because they have more choices. For shop owners, it means more investment to keep everything in-stock. That, unfortunately, may be one of the reasons so many brick and mortar shops have been closing, which we find very sad. Q. Is there an event or promotion that you offer that you feel is incredibly successful that you'd like to share? A. We run sales several times a year and maintain sale pages on our website with reduced price items throughout the year. 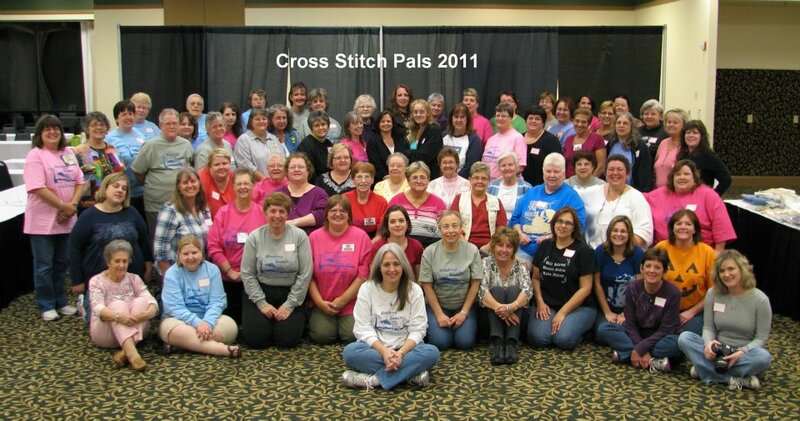 The 15th annual Cross Stitch Pals retreat is in Oct. of 2012. We have always hosted it, but Down Sunshine Lane has been sponsoring the event for the last three years. It's a great time for stitchers, designers and stitching related companies, who have supported the event with either their presence, or by donating items to be given away as prizes. Because of their support, more stitchers now know about their shops, designs and products. Q. 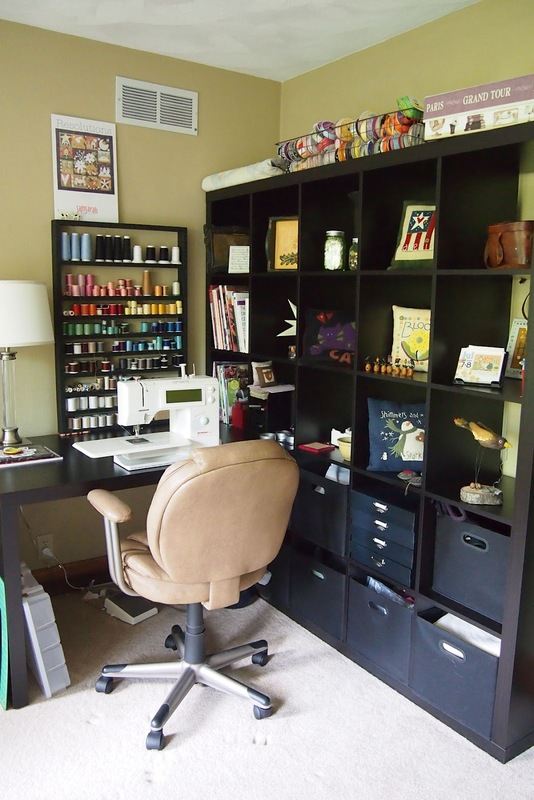 Besides stitching and running your business, what are a few things you enjoy in your free time? 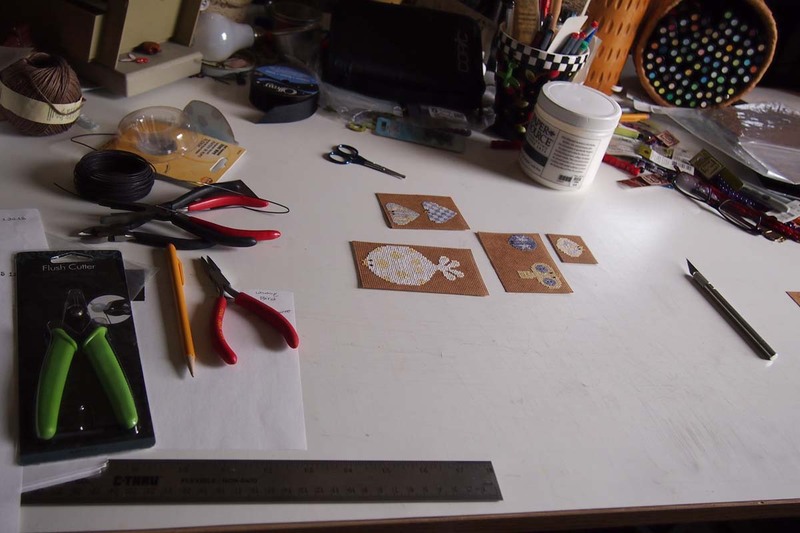 A. I like to stitch or sew while listening to audio books, read and make cards. Ray likes to read, write fiction novels, and play the guitar. We also enjoy spending time with family. Q. What's your favorite holiday and why? A. Christmas! I love the reason for the season and everything that goes with it - the decorations, food, and spending time with family. I could decorate ten Christmas trees with my collection of ornaments, many of which are hand stitched! A. I can't pick 3 books, but I can pick 3 authors. Jane Austen, Diana Gabaldon and Dorthea Benton Frank. 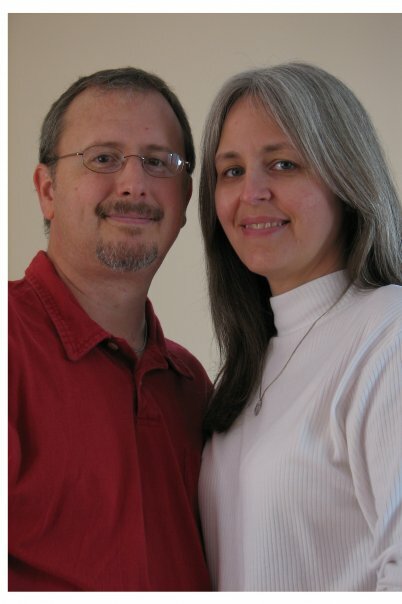 Ray reads a wide variety of authors & styles, but Jim Butcher is one of his favorite writers. Q. What are your three favorite movies? A. Mine are Pride & Prejudice, It's A Wonderful Life and Gone With The Wind. Ray doesn't really have favorite movies, but he prefers the action/adventure and Sci-Fi genres. A. We both love music and it's always playing in the background many hours a day. You might walk in and hear Aerosmith, but the next song from the iTunes library might be "You Raise Me Up", by Josh Groban. I prefer classic rock (late 70's/early 80's). Ray's tastes lean toward old Jazz standards & Blues, but we both listen to a lot of different styles of music.